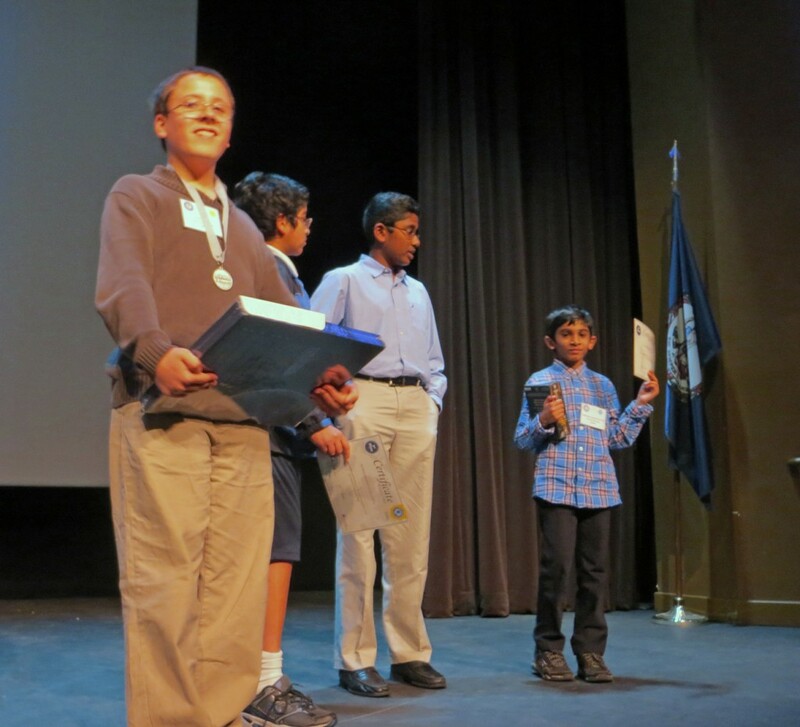 The Virginia Finals of the National Geographic Bee were held on March 27, 2015 in Jarman Auditorium at Longwood University in Farmville. The program began with inspiring opening remarks by Akhil Rekulapelli, who won the Virginia Bee in 2014 and went on to compete in the National Bee in Washington, DC, where he became the first Virginia student to ever become National Champion. The Virginia Geographic Alliance extends congratulations to Alex and wish him well in the national competition in Washington, DC. The VGA also congratulates all finalists and indeed all students who participated in the Virginia Geographic Bee. You are all winners. Alex was featured on Roanoke TV station WDBJ7 during the evening news on April 24. Read what he says about geography. 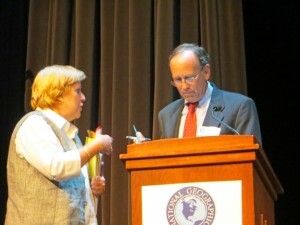 Sandra R. Carter, Virginia State Bee Coordinator, confers with Dr. Bill Carstensen, Chair of the Geography Department at Virginia Tech, before the finals. Bill served as moderator for the finals and the championship round.